Often when I go to the grocery store, I see the sample areas and avoid them. Most times, they are for a new product or one that doesn’t interest me. However, when I go to Publix now, they often will have some of the most amazing samples by the produce department. I have gotten in the habit of stopping each time. They provide you with a recipe card for what they have prepared and often, they are easy and oh so yummy! When I tried this Blackened Barbecue Shrimp Salad, I knew that I had to fix it at home! It was *that* good, and I don’t normally eat a lot of shrimp. The ingredients are rather simple for this salad and to make for just 2 people, I would half the recipe as it does make a lot. 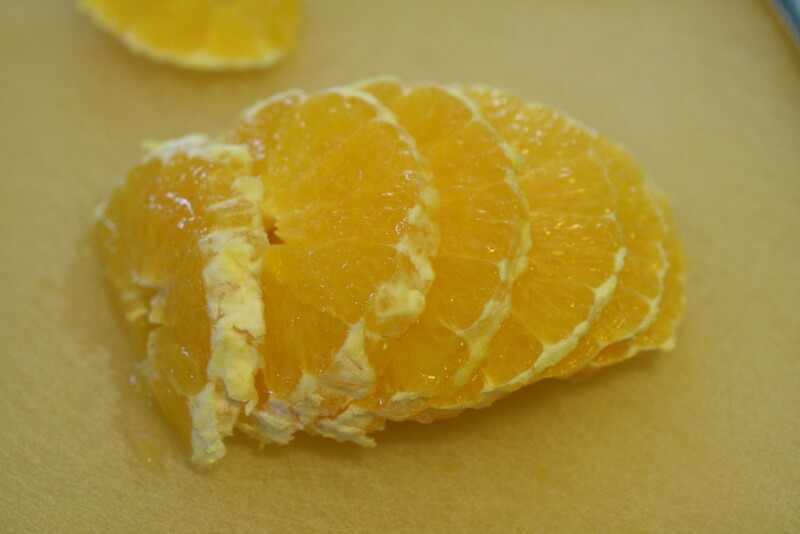 I began by peeling my naval orange and slicing it in thin slices. 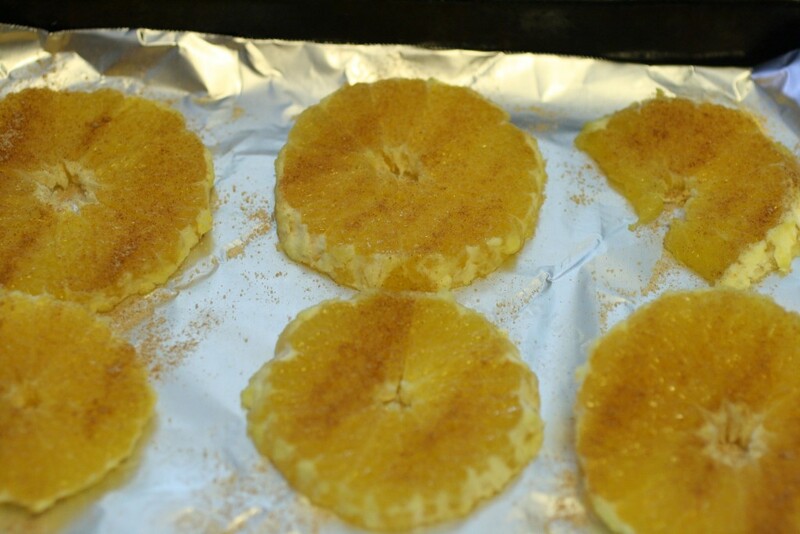 I sprinkled it with cinnamon/sugar and then placed the slices under the broiler for about 4 minutes. You want the sugar to caramelize. 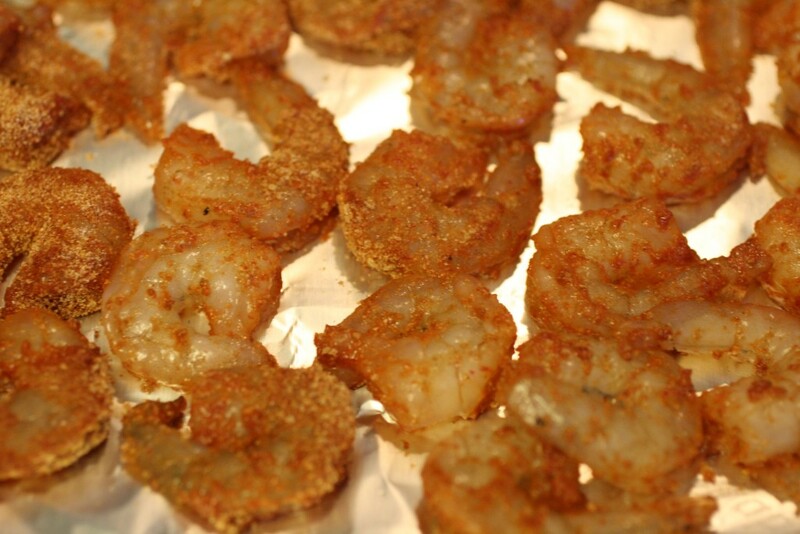 I then took my thawed, peeled, and deveined shrimp and coated them with a mixture of barbecue glaze and cajun seasoning. I placed them flat on a tray and put them under the broiler for 5-6 minutes, just until they turn opaque or pink. Take a bag of spring mix and place in a bowl. I included the sweetened cranberries but omitted the blue cheese and nuts because my husband doesn’t like either. I coated the spring mix with 1/4 cup of the Vidalia Onion Dressing and then placed the mixture on plates. I then topped the salad with the orange slices and cooked shrimp and drizzled a little bit more dressing over top. This was a delicious and easy salad to throw together. Would be great for a luncheon with the girls or a quick meal on the weekends for something different and fresh! For complete instructions for this recipe, please refer to the Publix Aprons Simple Meals page! Thanks Publix – what an awesome recipe! « The Decision to Homeschool!